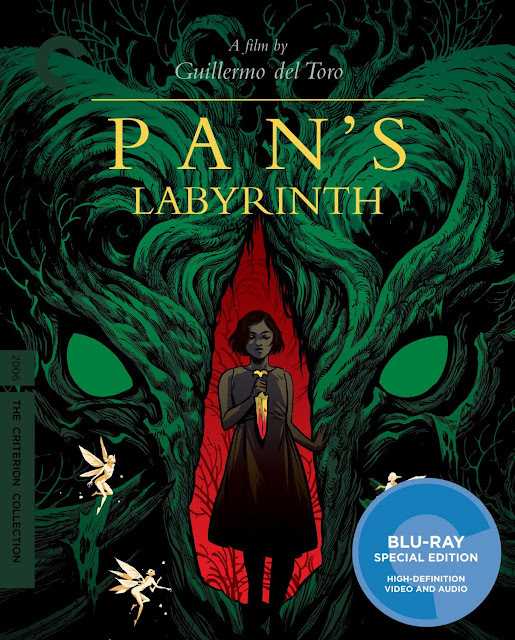 I instantly pre-ordered this Criterion Collection Pan's Labyrinth Blu-Ray. Can you believe it has been 10 years since this movie was released? Of course, the art on the cover is spectacular and does a great job illustrating the essence of the movie. This continues to be one of my favorite films. I think a lot of us can relate to the character of Ofelia. We all try to escape some of life's atrocities using stories whether it's from books, movies, or video games. Go on a gruesome and magical adventure with Ofelia in Pan's Labyrinth. It's a beautiful and twisted film that will keep you on the edge of your seat. I am so excited for this 10 year anniversary edition from The Criterion Collection! Did you love Pan's Labyrinth? What were some of your favorite parts during the film? Tell me about it!